你好! 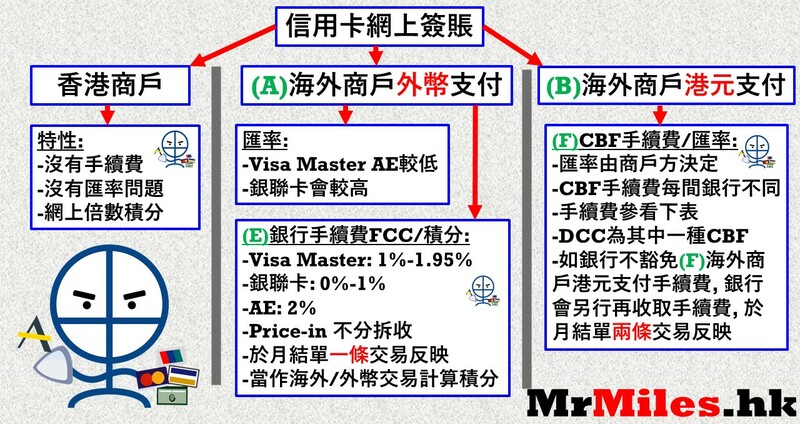 請問AE blue cash簽airbnb港幣是否冇額外charges 同有1.2%現金回贈? 除blue cash有冇建議用其他卡? ps: hsbc冇揀自主賞世界… thanks! 里先生, 如做online eVisa, 用外幣支付,簽DBS master or HSBC VS 好d? Thanks. p.s. I have DBS AE and 中銀銀聯too. Q1但唔係要外幣先計 1X+5X (Red) +3X (VS)+5X (2019 program)? 咁5X (Red Hot Rewards 海外) +3X (VS) 用港幣支付中唔中? 黎緊去韓國會 join day tour, 如果用銀聯有5%, 請問申請邊張銀聯卡可以賺到多 d 迎新里數？ thx ! 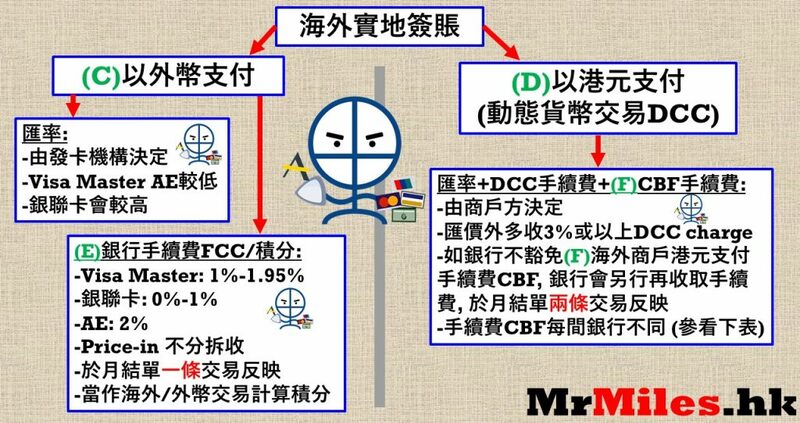 你好, Simply Cash網上購物 FCC 1.95% CBF 0% 即係港元支付較平(計埋回增)? 定係外幣/港元結算嘅匯率可能會有所不同 港元支付未必較平? Thanks! hi, may I know if I online shopping at -Selfridges. show this msg “Selfridges_HKD_ecomm secure” in my credit statement. this will count CBF? 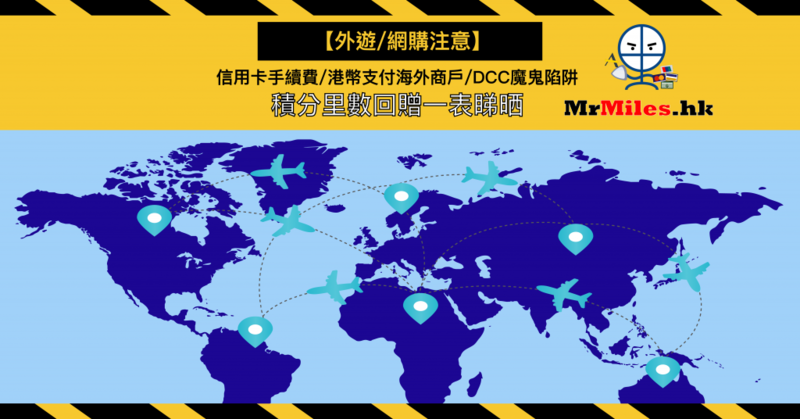 里先生，其實hotels 用渣打Asia Miles 俾HKD 係$6/miles? 達人里先生!!! 就例如返大陸按摩, 間野可以收HKD既話, 雖然係外地, 但收HKD仲洗唔洗比1.95%架? Hi Mr Miles, how about DBS Eminent Card? Any CBF %? Thanks! The DBS 2018 promotion 3% rebate for online spending has no restriction for the currency used.